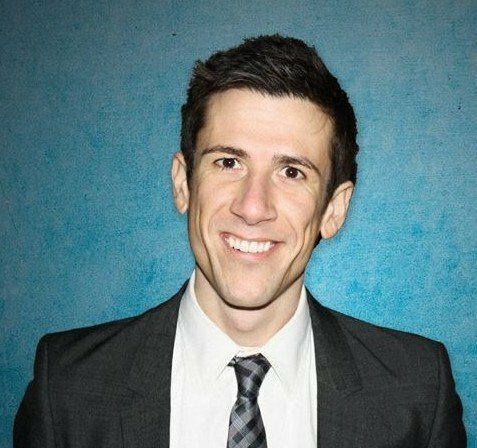 How can a brain injury lawyer help someone with a brain injury? Traumatic Brain Injury (TBI) accidents are life-changing events that require extensive medical treatment. A brain injury lawyer can work on your behalf to make sure that you are fairly compensated for your injury. It’s estimated 235,000 people are hospitalized each year from non-deadly brain injuries in the U.S., and 3.2 million people living with some form of brain injury. A brain injury lawyer will be most helpful for you if your injury permanently effects your everyday life. If you or a loved one has experienced a brain injury as the result of an accident, contact our Kansas brain injury lawyers today for a free consultation. You may be entitled to money for your injury, lost wages, and pain and suffering. Having a team of lawyers and medical experts experienced with brain injuries is important to maximize the value of your claim. We have experience handling Kansas brain injury claims and we are familiar with the types of compensation you may be entitled to. Let a brain injury lawyer fight on your behalf, while you and your doctor focus on the path to recovery. A brain injury lawyer will take care of assembling a team of experts if they will help in your case. Brain injuries cause serious damage to the body, so our team frequently puts together experts to work with you on evaluating the extent of your injury and whether recovery or rehabilitation will help. Brain injury forensic experts are necessary when it helps to reconstruct the accident that caused a brain injury. A forensic expert may testify about the causes and risk-factors in your case that may have contributed to the brain injury, and whether or not they could have been prevented. These experts help explain how the brain injury occurred. In almost all brain injury cases, time is critical. If you have been injured in an accident resulting in a brain injury, the clock starts ticking at the moment of the accident. An experienced brain injury lawyer may need to collect and preserve evidence which may be important in presenting your case. In some brain injury cases, it is necessary for a brain damage lawyer to collect evidence relating to your injury and document the accident scene and vehicles involved in the accident. The evidence collected is sometimes used by brain damage experts to reconstruct the events leading up to your injury, or the accident scene itself. Methods used for treatment of brain injuries are also most effective if started right away. Compensation won’t heal a traumatic brain injury, but it can help you get your life back on track. 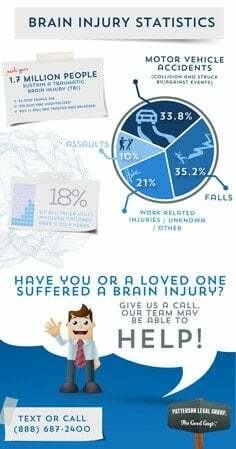 Call a brain injury lawyer today for a free consultation at (888) 687-2400. Corrigan, John D., Anbesaw W. Selassie, and Jean A. Langlois Orman. 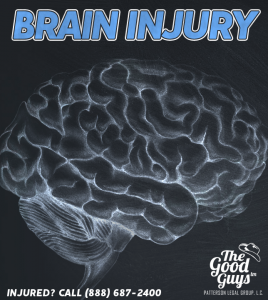 “The Epidemiology of Traumatic Brain Injury (TBI).” The Journal of head trauma rehabilitation 25.2 (2010): 72-80. Levine, Brian, et al. “Quantified MRI and cognition in TBI with diffuse and focal damage.” NeuroImage: clinical 2 (2013): 534-541. Sidaros et al., 2009 A. Sidaros, A. Skimminge, M.G. Liptrot et al., Long-term global and regional brain volume changes following severe traumatic brain injury.” NeuroImage, 44 (1) (2009), pp. 1–8.